In this look, I paired the dress with Kimono dress from Missguided and the shoes by T.U.K. Lovely look! 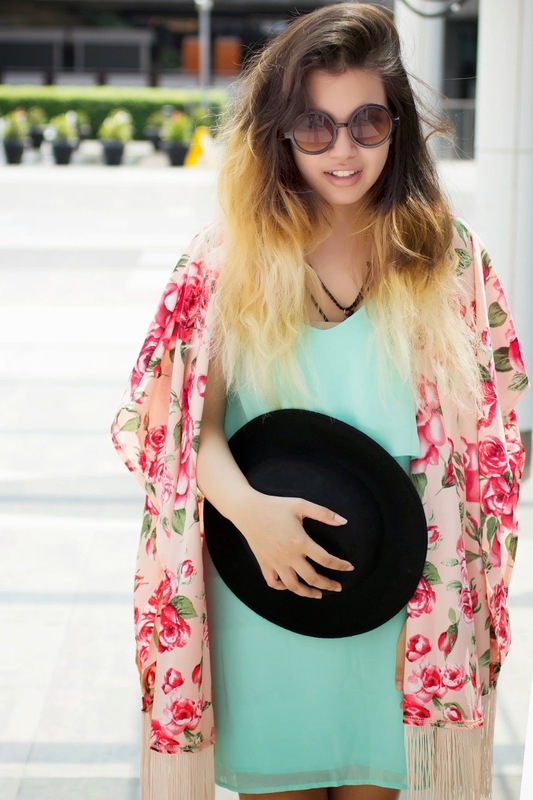 Amazing kimono jacket! Amazing outfit, you look stunning as always! Beautiful you look love the color of the dress and the style. Enjoy your weekend doll. the Kimono over the dress is the perfect fashion touch and change completely the look! you surprise me every time! i <3 the colour of that dress, and the dress. can you please give it to me hahaha ! I'm in love with the dress, such a beautiful colour ! Love the combo of both dresses, Gail. Very unique. Oh my! I can feel the heat of the summer here at our home. It's good that you keep the monochrome color on you ( I can't imagine you with no black outfit,though..LoL!) . Great Collaboration..Bravo! Love!!! Mint is so pretty. This colors are looking suay mak ka, how lucky that we can wear any color on our skin tone. Have fun with your pretty spring (summer) color. Thx for the twitter's follow na ka. I followed you back cutie. Great outfit, i love the kimono! I love this kimono on you, the colour is gorgeous... dont be afraid to move away from the monochrome, it really suits you!! 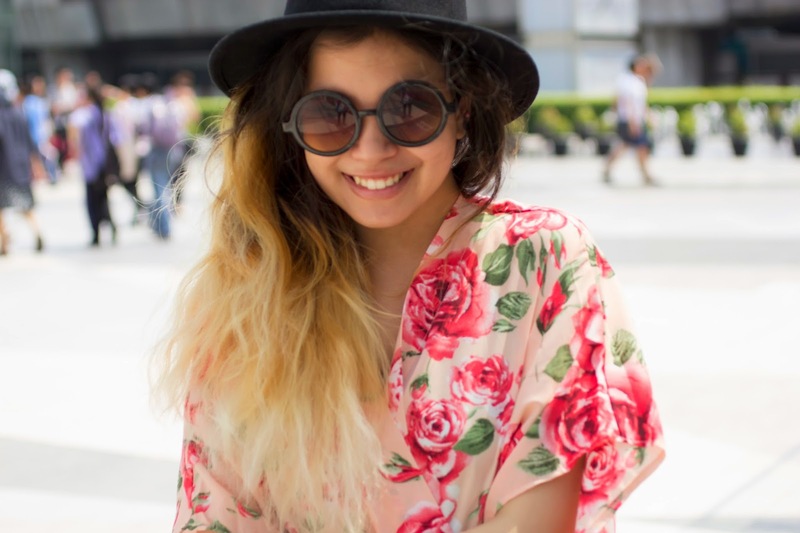 Love your vibrant floral kimono, so pretty! It was great reading your comment...wishing you a wonderful and warm weekend! love the kimono jacket !! Thank you for your nice comment gurl !! Love the way you pimped the outfit with the hat and your sunnies! Very pretty! Amazing, dear!! I fall in love with this kimono! really cute, love the kimono! you look great I love this outfit! Wow! I love the colours! I think this is such a positive look and makes me year for summer even more! This is such a colorful outfit! I love your kimono! Love the look! Amzing colours! it's so vibrant. playful and pretty. 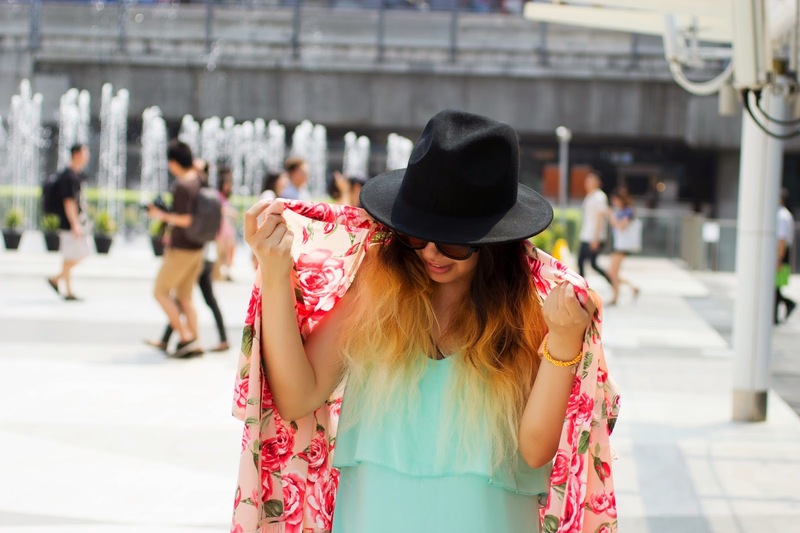 Love it girl, your outfit shouts: spring! The mint green looks so perfect against your beautiful kimono! Missguided are so smoking hot, I love how their pieces are always that little bit more unique and out there than other brands. Lovely dress and great pairing with the kimono.I'm thinking of doing more online shopping and I was wondering if you had to pay taxes when you orders from misguided. Since you know in bangkok they add 30 % on imported items.